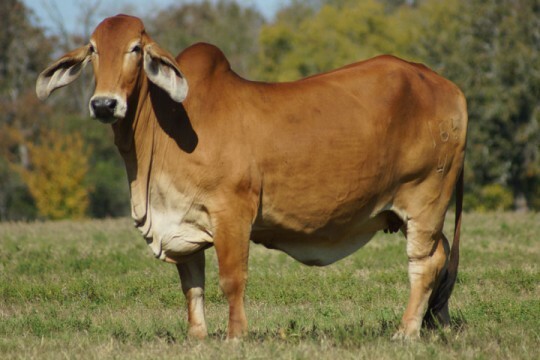 VL Rojo Designer 2/75 is a bull that you can’t help but love his balance, moderation, muscle and American Brahman breed character. 2/75 excelled in the show ring because of his moderate frame, deep body, and eye appeal. He is structurally sound and very muscular. 2/75 is sired by VL Rojo Designer 78/5, one the ranch’s best kept secrets. 78/5 goes back to VL Rojo Designer 4/128. 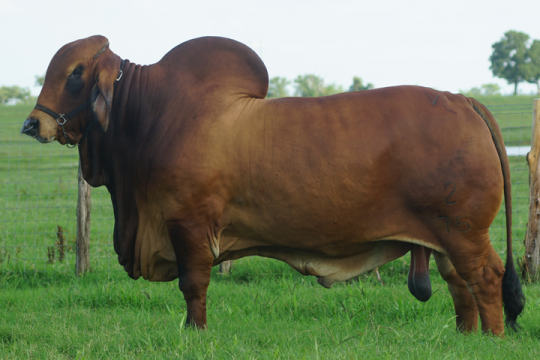 2/75’s dam is +VL Elena 165/4, one of the best donors in Santa Elena history. She is a daughter of the Register of Renown +VL Elena 4/136, and the legendary -+ VL Rojo Tinto 3/180. She has an outstanding pedigree with more than 10 Register of Renown descendants. This line of females exhibit great fertility and has three generations of high egg producing cows. 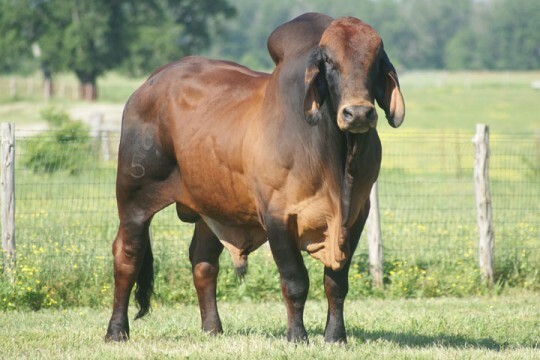 If you are looking for a beef machine to add color, muscle, bone and performance to your herd, VL Rojo Designer 2/75 is the bull you want to use. He is produces cheery red calves with lots of pigments. Transmits the maternal ability that Santa Elena is known for ranking in the top 1% of the breed.